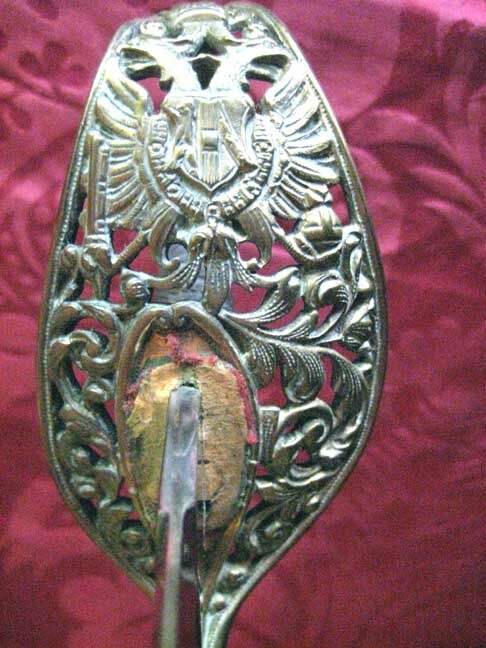 Antique Military Breast Stars, medals, shako, sabre, swords and uniforms from The Drawing Room Antiques of Newport R.I. # 5180 Austro-Hungarian Sword. # 5180. 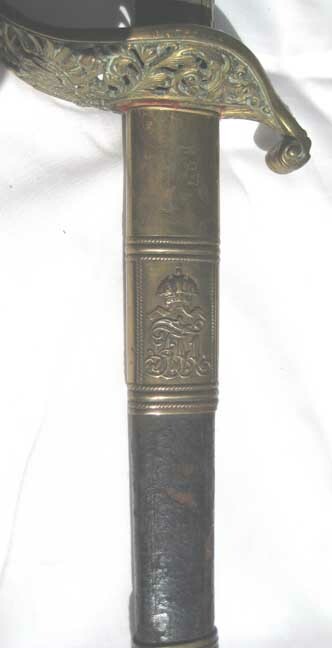 An Austro Hungarian Military Sword / scabbard. Late 19th century. 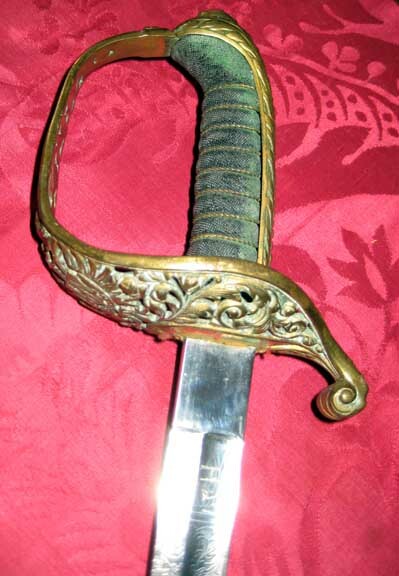 Size: sword blade is 30" long and with the handle it totals 35.25" long. Marked on the sword Weyersberg & Stamm Solingen. 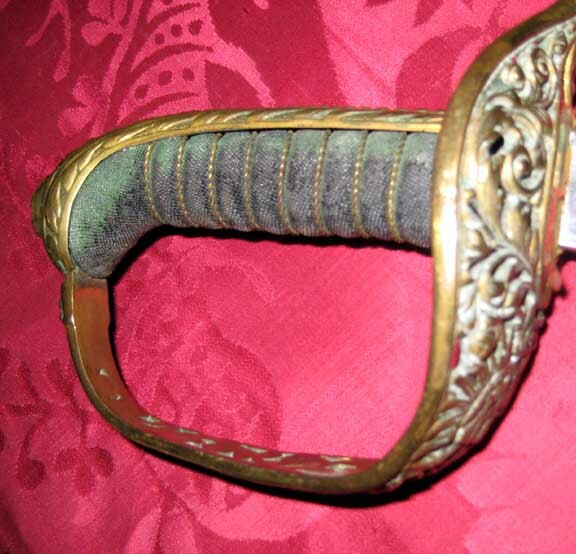 Condition: the scabbard has leather loss at the back as shown in the detailed images. 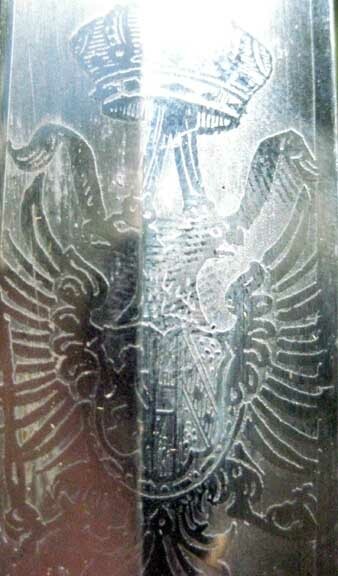 The blade appears to be either nickel silver or chrome. 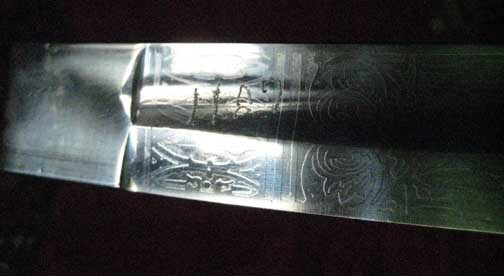 There is damascene design on both sides of the blade. 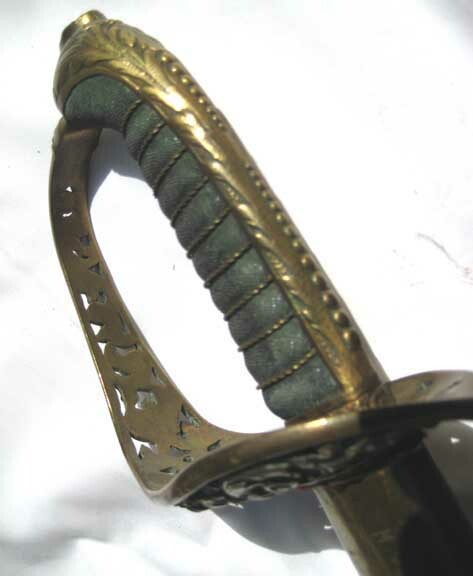 There is hand etching on the scabbard and the sword "H-27". The blade has multiple nicks along the edge. Where the blade inserts into the handle: the felt is worn away. The sharkskin handle is intact with no holes and the wire holding the skin is intact and not loose. Price: $1,200.00.